It is not that they died and were buried here. Many a gravestone in the Smokies reads "Gone but not forgotten." But as the decades pass, all too much of what these stones commemorate is steadily vanishing, like a slow erosion, their stories slipping away into the past. We who visit the Smoky Mountain ﻿cemeteries can only wonder - the labors, the loves, the losses, the lives. We strangers scratch for traces of the person and come up empty-handed. We listen to the wind, but somehow the memories of these people linger just out of earshot. "Gone but not forgotten." And yet in most of these cemeteries, stones with no remaining inscription outnumber the marked ones. So much has already been forgotten. It is important that we realize the placement of a headstone was a deliberate effort to preserve something, to protect the memory of the deceased. 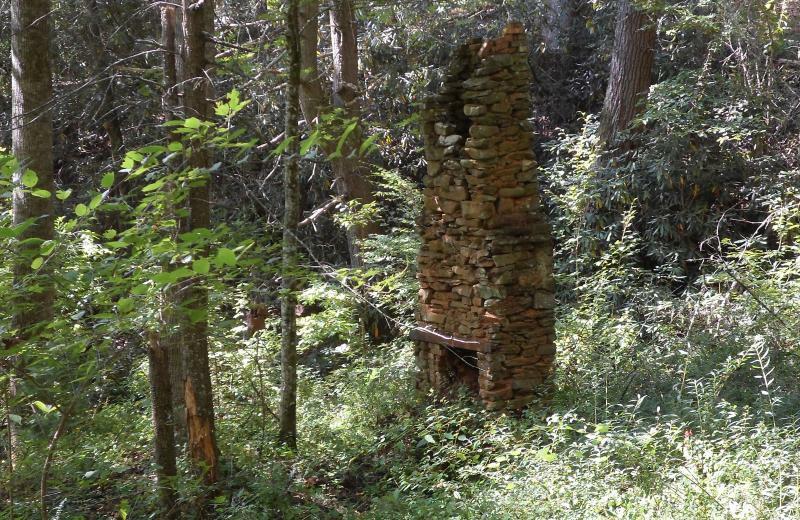 Durwood Dunn wrote in "Cades Cove - The Life and Death of a Southern Appalachian Community" - "When the National Park Service took over the cove, residents voiced tremendous concern over what would happen to the graves of their families. 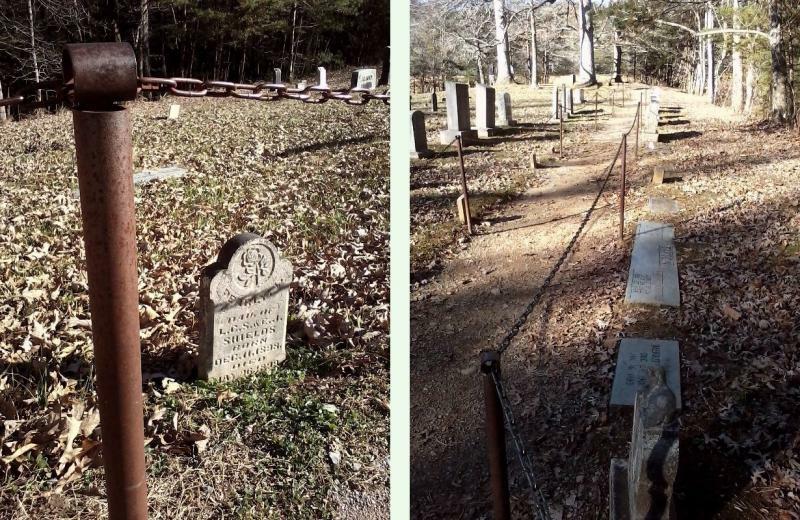 Overlooming their anxiety that these cemeteries be properly maintained, however, was the far greater fear that the memory of their dead would be lost forever to the community's consciousness." And so we try to offer what remembrance is still possible. 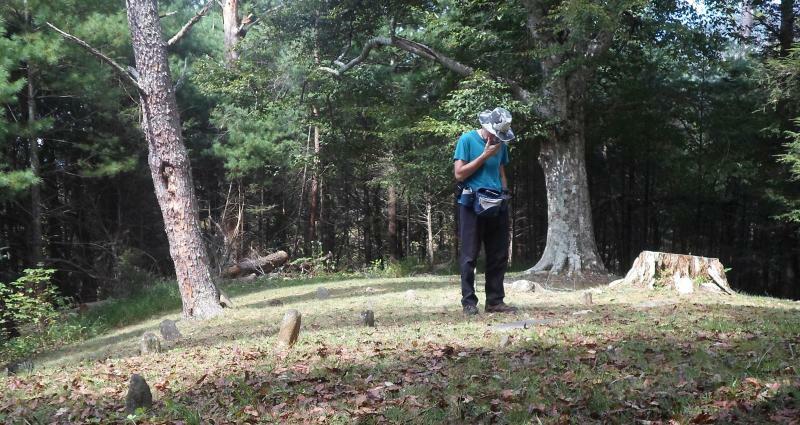 We visit these remote cemeteries as a gesture that perhaps these people are not entirely forgotten, even if we do not know their stories. Even if we do not so much as know their names. We can at least acknowledge that they once lived - whoever they were. To the outsider, a grave indicates a death, whereas to the family and survivors it marked a life. Someone cared enough for each of these souls to afford them the dignity of a proper burial and to mark their resting place with a headstone, no matter how humble, that their memory not be lost. Visitation re-validates those efforts. We can reach back in time, to the man with hammer and chisel laboring over a rough stone. We did not know your loved one, but today we pay our respects and acknowledge that life whispering through the shadows. We ask ourselves, is it possible to "collect" so many graveyards that we lose touch with the humanity of a place, treating it like one more statistic to record? We visited one cemetery in particular while a thunderstorm was brewing in the distance. Trying to get ahead of the impending storm in hypothermia weather (February 2014), we hurried through our work. The light was bad and the photography rushed; most of the field notes were navigational. We scarcely took the time for "remembrance" at the graves we were documenting. Most assuredly the survivors burying their dead here grieved as much and hurt as badly as those dressed in black at other gravesites we have visited. But we did not feel their loss or listen for their pain. We needed to get off the mountain and fast. But even when we linger, are we already in the process of moving on? We sort and catalog a few hundred photos. We write a few hundred words. We publish our output and move on. Do we forget last week's cemetery, beguiled with this week's cemetery du jour? You cannot grieve for them all, nor would you want to. On 4-12-14, the Knoxville News Sentinel ran an article in their "Faith and Family" section on grief ministry, and the headline was apt: "Just be present." Perhaps that is what we all can contribute, whether standing at the graveside or reading about it from hundreds of miles away. We do try to clean out the fallen limbs somewhat, after first photographing the condition we found it in, but that can be as ephemeral as a moment of silence. Some cemeteries move us. Some cemeteries move us deeply. 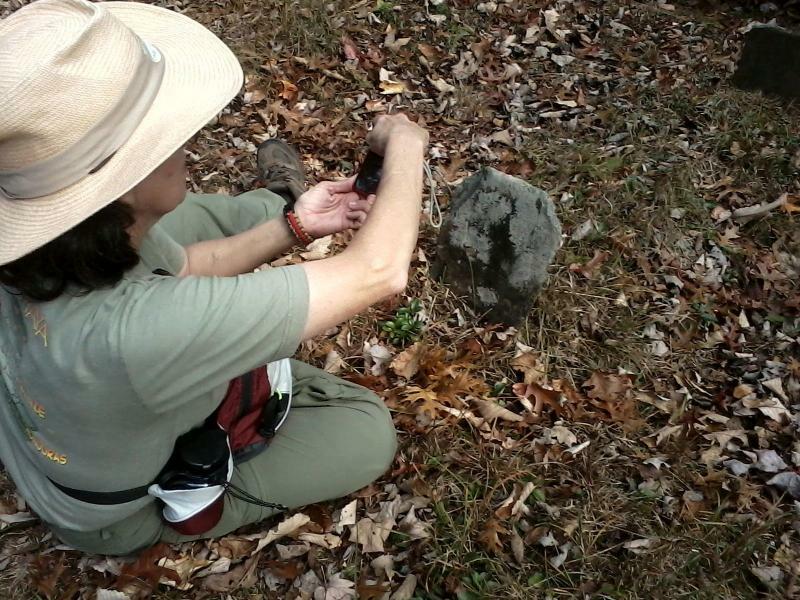 (Renée still talks about a backyard cemetery that touched her heart. Jim still talks about a sorely neglected gravesite that bothered him.) Other places do feel more mechanical. Another visitor might feel stirred at another cemetery and notice things we completely overlooked. Perhaps this is all normal.